The beach is in the town of Capitola, just south of Santa Cruz. The beach can be reached by taking the New Brighton/Park Avenue exit off Highway One. This Santa Cruz County beach features picnic areas, swimming, fishing, and a nearby forest of Monterey pine and coastal live oak. The camping area is located on a bluff overlooking northern Monterey Bay. Much as a reef does, the SS Palo Alto, a concrete freighter, at nearby Seacliff State Beach attracts an immense variety of marine life within its concrete wreckage, and many of the same animals found on rocky shores live on it. Mussels, barnacles, sea stars, sea anemones, ocean worms, and rock crabs all cling to the sides and insides of the ship and pier. Harbor seals and sea lions line the deck, while pelicans and cormorants perch on the bow. Pier anglers catch sole, flounder, mackerel, halibut, lingcod, cabezon, bocaccio (tomcod), kingfish, and occasionally salmon and steelhead. During summer and fall, sooty shearwaters (small, dark seabirds) arrive by the tens of thousands from as far south as New Zealand, soaring in masses over the ocean, searching for anchovies. Sea lions, dolphins, sea otters, and migrating whales are often spotted in the water. The visitor center at New Brighton State Beach offers you a chance to see, explore and experience the stories of people, settlers and cultures that are a part of this region’s rich history. The Pacific Migrations Visitor Center explores the many Pacific Rim migrations, both by people and by creatures of the air and sea. The visitor center and park store are open during the spring and summer season. Children ages 7 to 12 are invited to attend Junior Ranger Programs at New Brighton State Beach to explore, practive outdoor skills, and play games. Sorry parents, this is a kids only program! Meet at the Visitor Center for this one hour program. Fee for parking. 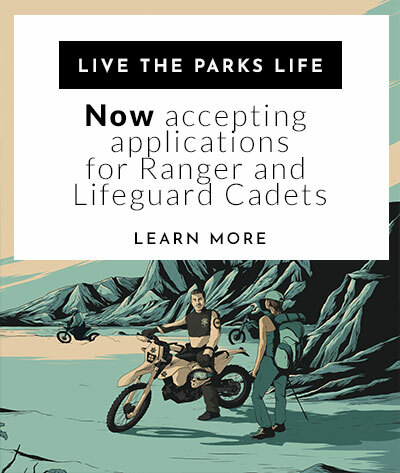 Junior Rangers is a statewide program offered at more than 70 California State Parks. Recieve your logbook and badge, and begin your journey. Join us in our Campfire Center for an evening of song and story. Serenade the glittering stars and learn about the Park. CLIMBING the unstable sandstone cliffs is prohibited. DOGS must always be on a leash no longer than six feet and attended by humans. For a list of locations you can take your dog in Santa Cruz County, please click here. DRONES are not allowed in the park. To protect wildlife and cultural resources, and for the safety and welfare of visitors and staff, the park is closed to the use of Model Aircraft, Unmanned Aircraft Systems (UAS), and Gliders in flight. FISHING does not require a license from the pier, but Department of Fish and Wildlife limits apply. See www.wildlife.ca.gov. ALCOHOL is not allowed on the beach or in the day-use areas — only within registered campsites. FIRES are not allowed on Seacliff’s main beach. 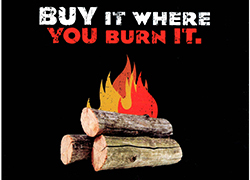 At New Brighton and Rio del Mar, fires must be confined to fire rings provided and attended at all times. Please Note: New Brighton SB does not have Hike Campsites.